Optional: fake water, fake trees, moss, etc. 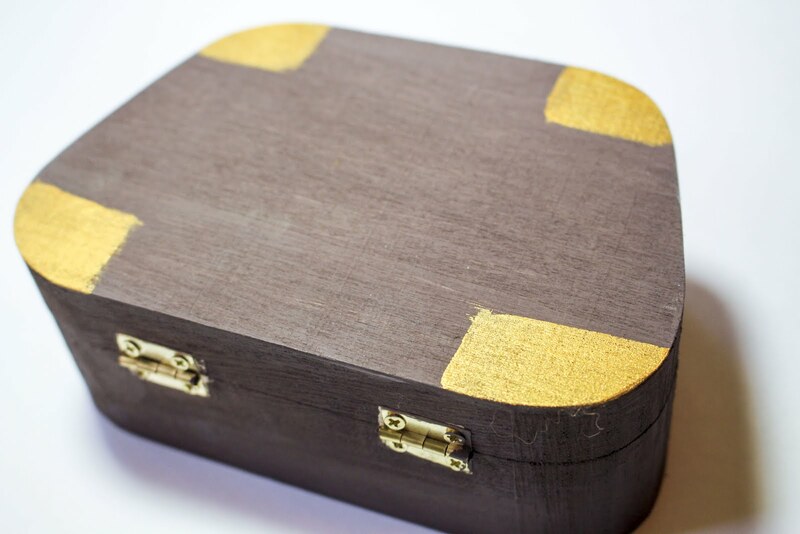 To begin, you'll want to use a brown paint to give color to your wooden suitcase. Only paint the outside of your suitcase and the inner edge. I had to use about 2 coats of paint to get a good coverage. 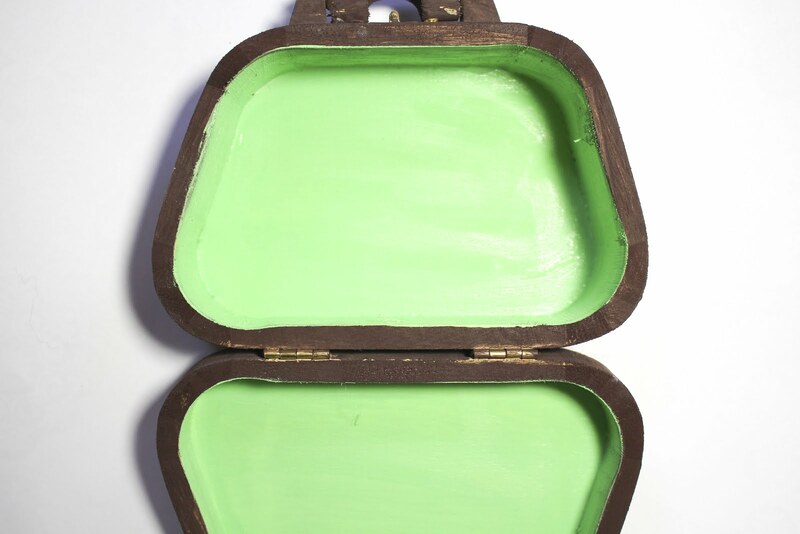 Allow this paint to dry completely and then using a gold paint and paint the corners of your suitcase. 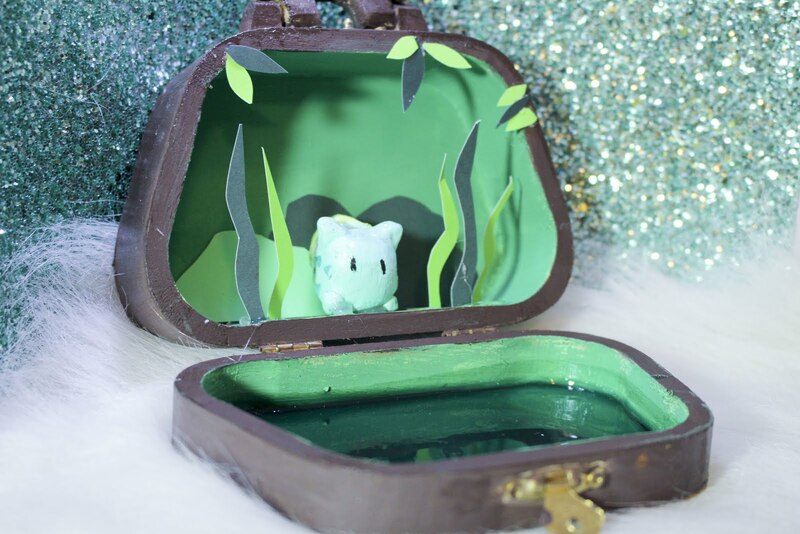 This gives your suitcase an added detail to really bring it to life. 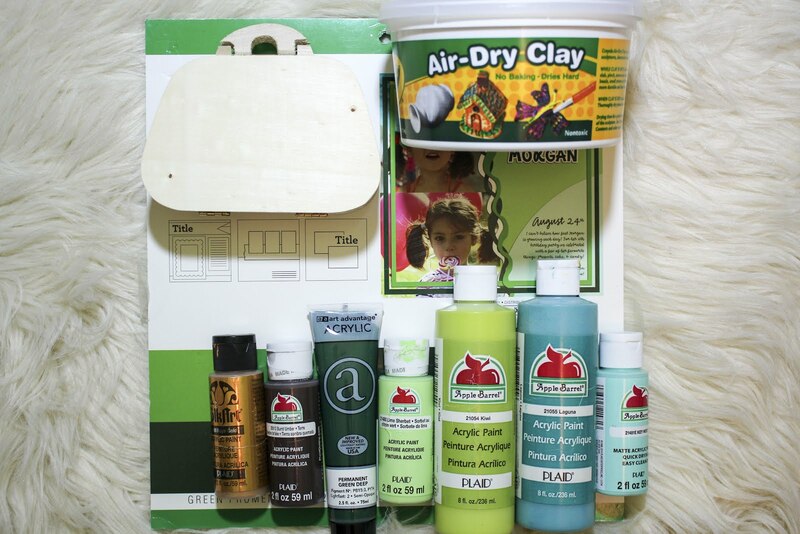 Use Mod Podge to give your suitcase a nice coating. 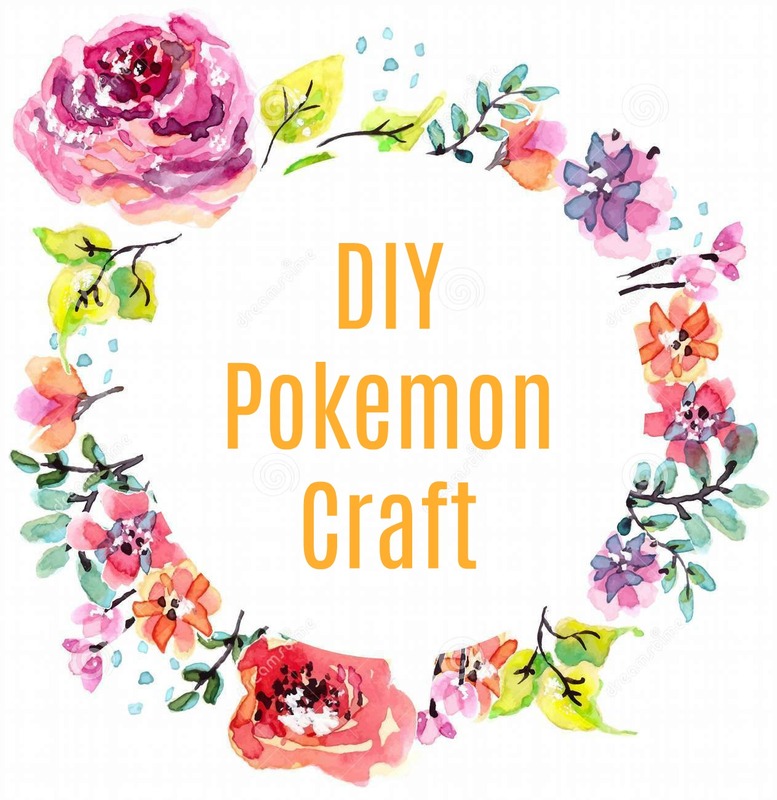 Next, You'll want to use your paper to start cutting out different shapes that once again correspond with the Pokemon you choose. For Bulba, I cut out different leaf and grass shapes. 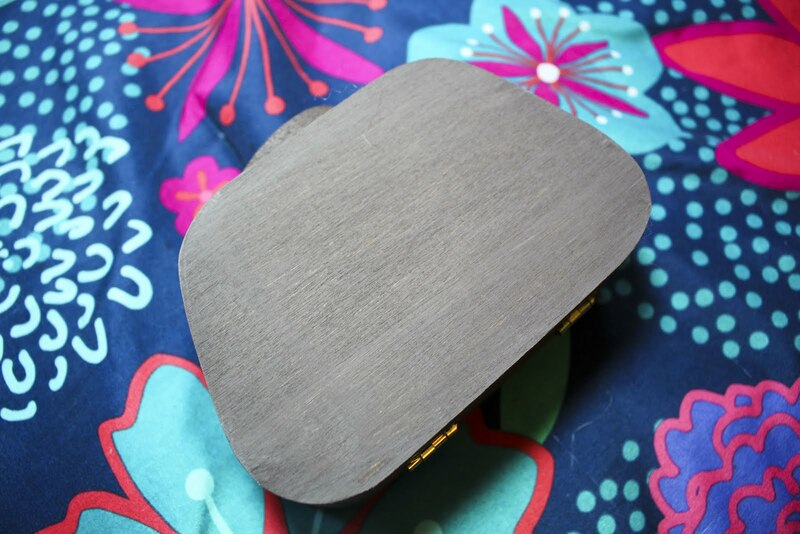 You will then glue these shapes around the suitcase. To achieve this. 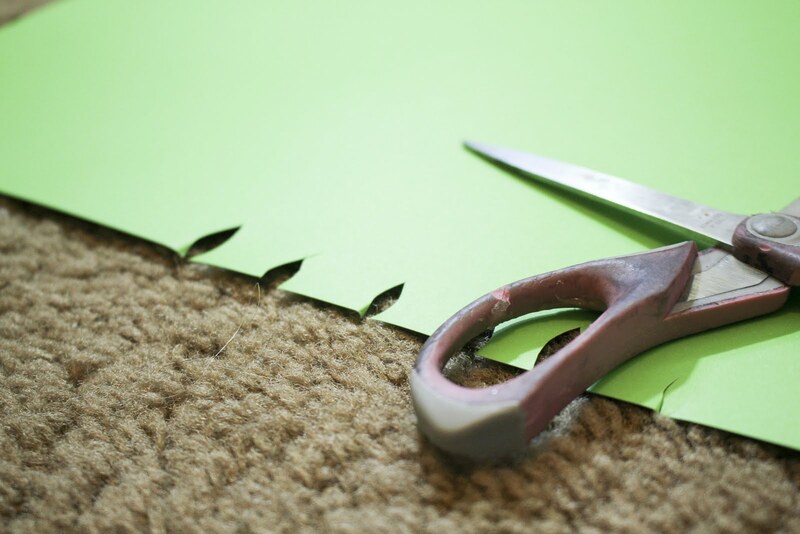 Bend the bottom of the paper to make a base for each paper shape so that you can apply glue to the paper. Now for the fun part. Take your air dry clay and roll a ball. 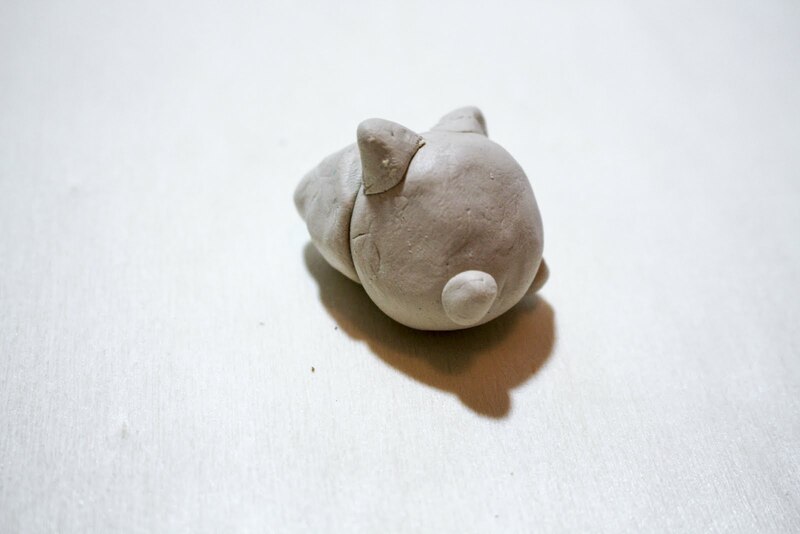 Now depending on what Pokemon you choose, you will use your clay to make shapes that your Pokemon has. 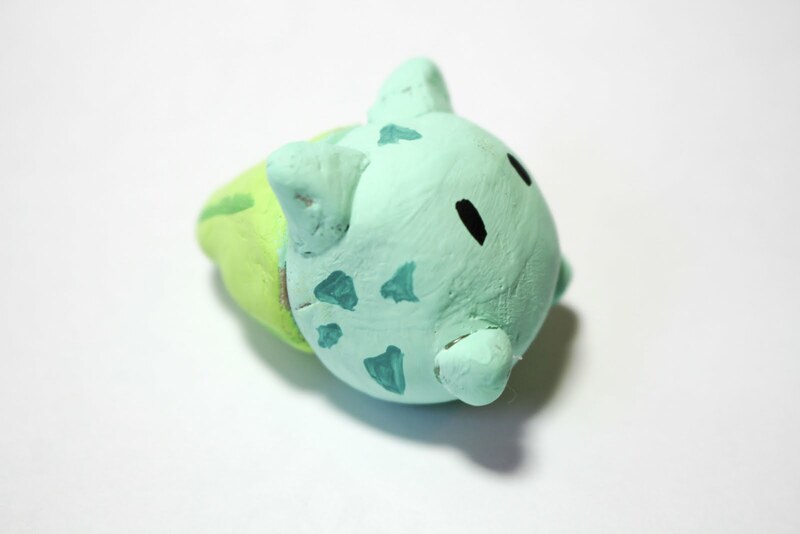 For example, Bulba has a bulb on his back, feet, and two ears, so making the ear consists of two triangles, the feet are two smaller balls, and the bulb is a rounded pyramid shape. 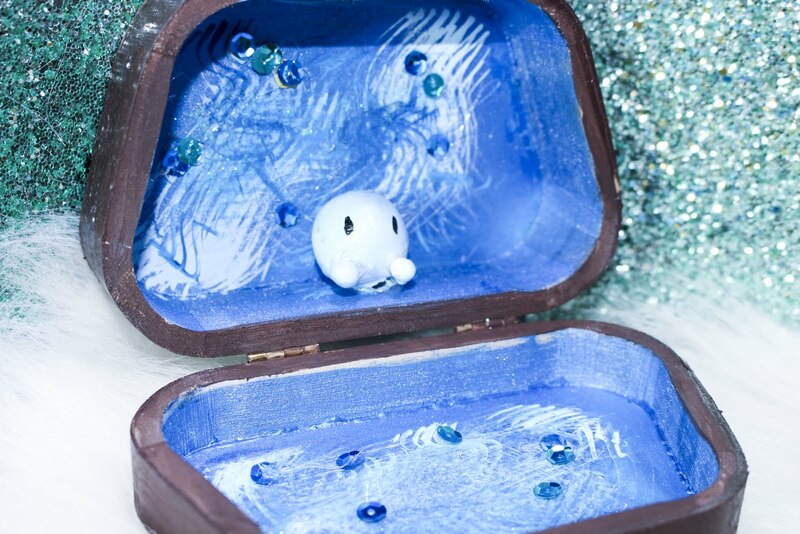 Once your pieces are dry, hot glue them all together. 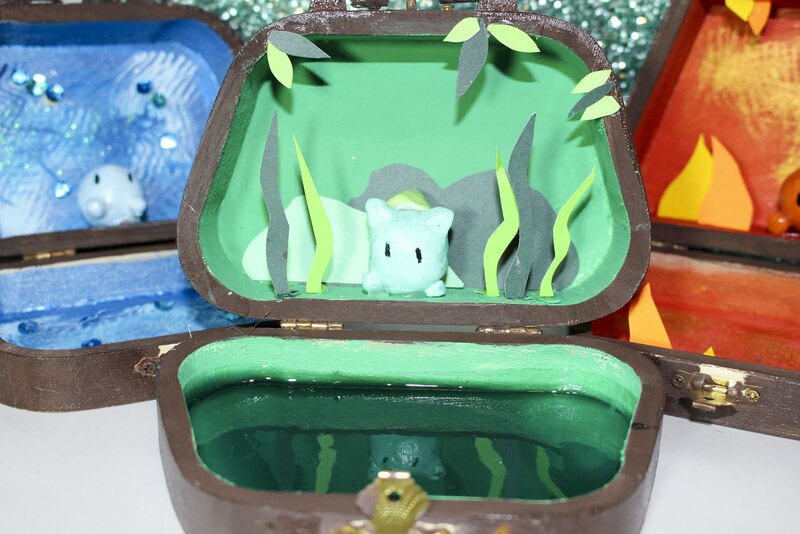 To finish off your Pokemon, paint the figure to match and use mod podge to give the lil' fella a nice gloss. 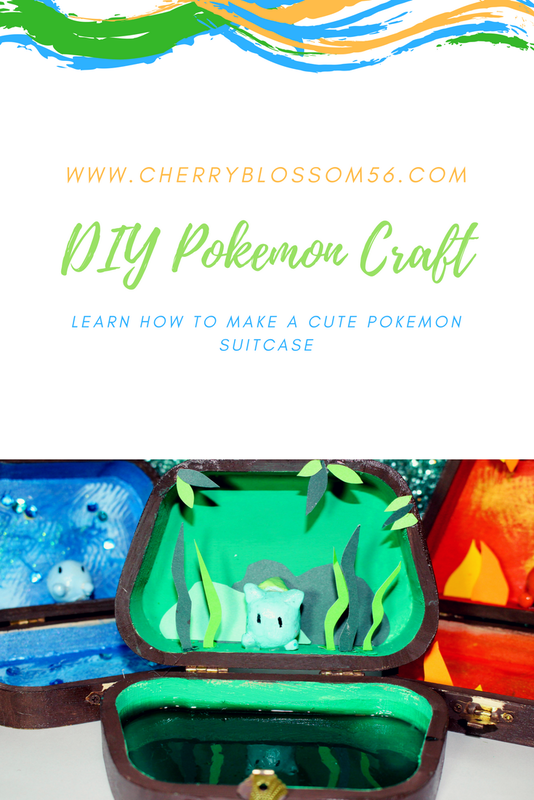 To finish up your suitcase, hot glue your Pokemon to the center of the back portion of the case. Now, you're a Pokemon Master!! Much better than Poke balls, am I right? 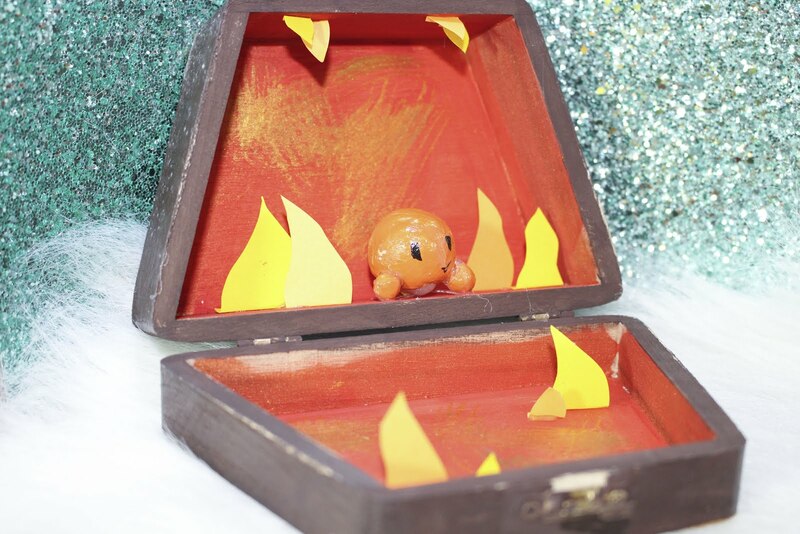 I hope you enjoy this DIY Pokemon craft!